Many of us have what we might call a “green thumb” and we may consider ourselves to be quite adept at taking care of our gardens. It doesn’t matter if you have been doing it for years or if you are a beginner, it is always nice to have a tip or two under your belt. In fact, most people will readily admit that they are constantly learning and that is how you get better. Of course, there may be a wide variety of tricks available but sometimes, you come across things that are just too fantastic to ignore. That is what this article is going to show you. 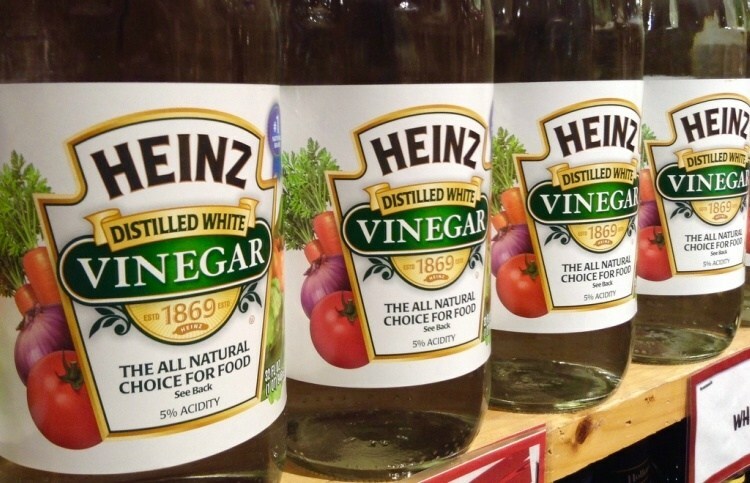 Believe it or not, it shows you 13 different ways that you can use vinegar around the garden and once you learn them, you will never be without this miracle liquid. The perfect reason for using vinegar in the garden is that it kills weeds but it doesn’t kill your flowers. Put it in a spray bottle and aim it at the weeds and your garden will be weed free. 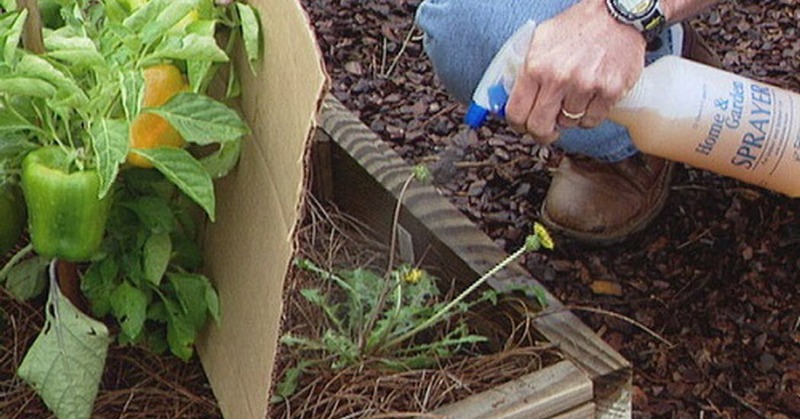 Vinegar is not only for killing weeds, it can help to resurrect your plants. If you are having problems with fungal infections and black spots on your flowers and bushes, vinegar is there to help. The easiest way to use vinegar to help your ailing plants is to mix 2 teaspoons of vinegar into some chamomile tea. Spray it directly on the affected plants. Certain plants absolutely love vinegar, including rhododendrons, azaleas, hydrangeas and gardenias. Mix up a cup of distilled vinegar in a gallon of tapwater and spray it on those plants to give them a boost. If you don’t feel comfortable spraying vinegar on your plants, you can use it on the soil instead. It’ll help to boost the acidity and adds some iron. The easiest way to do it is to add distilled white vinegar to a watering can and then water the areas with lime deposits. You can also mix 1 cup of distilled vinegar in a gallon of tapwater and water the soil. It can be difficult to plant seeds and wait for them to grow but you can speed up the process with vinegar. 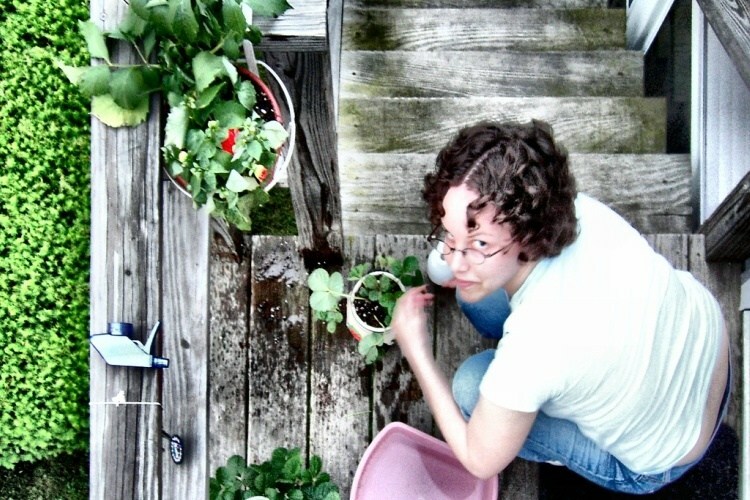 This is especially true of certain plants, such as morning glories, okra, asparagus and moon flowers. Gently rub the seeds with sandpaper and soak them overnight in a mixture of one part vinegar and four parts warm water. Add a splash of liquid dish soap to the mixture. Plant them as you normally would and wait for the magic to happen. People love using clay pots because they work very well for plants and flowers. Eventually, however, they absorb salt, calcium and other minerals. Soak them in a 1:1 mixture of water and vinegar to clean them properly. 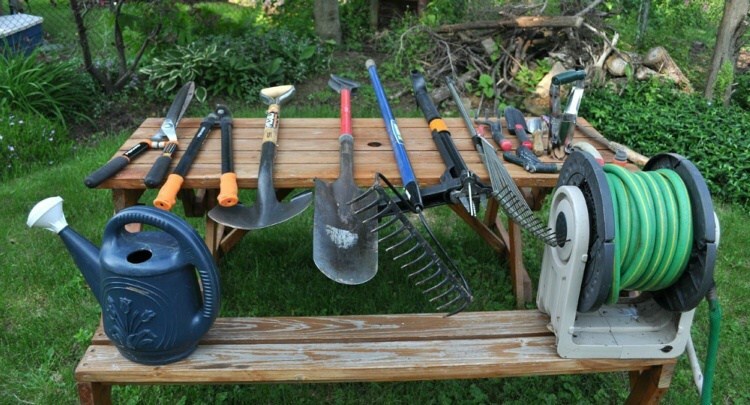 If you are a frugal DIY home gardener, you can use vinegar to clean your garden tools. If they have become rusty or dingy, spray some vinegar on them or soak them in vinegar to make them look like brand-new. When you want to clean your garden equipment for a fresh start, vinegar is the way to do it. You can use it to clean pot saucers, planters, birdbaths and any outdoor equipment. You can soak rust off of spigots, bolts and screws and sanitize your patio furniture. You might bring your flowers in on occasion to have a look at them on a rainy day. Vinegar can help to make this an easier transition if you decide to have cut flowers. Pour a quart of water into your favorite vase and add 2 tablespoons of distilled white vinegar and 1 teaspoon of sugar. Your cut flowers will last a long time. 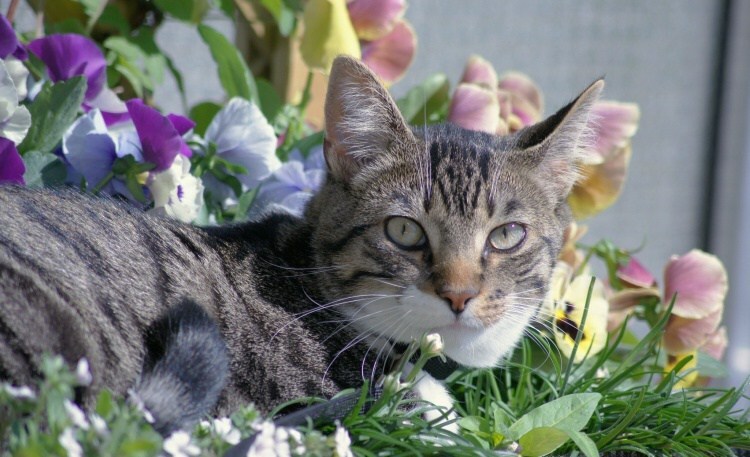 When you have dogs or cats outdoors, the garden can be a tempting area to take a snooze. Unfortunately, they damage the flowers in the process. Soak some old T-shirts in white vinegar and put them on wooden stakes around the garden. Replace them once weekly and the smell will keep the pets away. The vinegar on T-shirts not only works for domestic animals, it works great for wild animals as well. If you have a problem with animals invading your garden to nibble on the goodies, keep them away with vinegar. If you have a problem with fruit flies, you can trap and kill them using some vinegar. Mix 1 cup of water with 1/2 cup of vinegar, 1/4 cup of sugar and 1 tablespoon of molasses. Pour the mixture into some old tin cans and hang them on the tree. Refresh them regularly. You can also keep pests away with vinegar, including slugs, snails and ants. It is a natural insecticide so you can spread around the borders of the garden to keep them away. It also works when you spray it around your home. Sometimes, it does become necessary to kill slugs or snails and you can spray them directly with vinegar to do so. Be careful you don’t harm your plants if they are delicate.